When you set up an Institute to bring people together under a common theme – in this case the global need for clean and safe water – it’s encouraging to see that the model works. 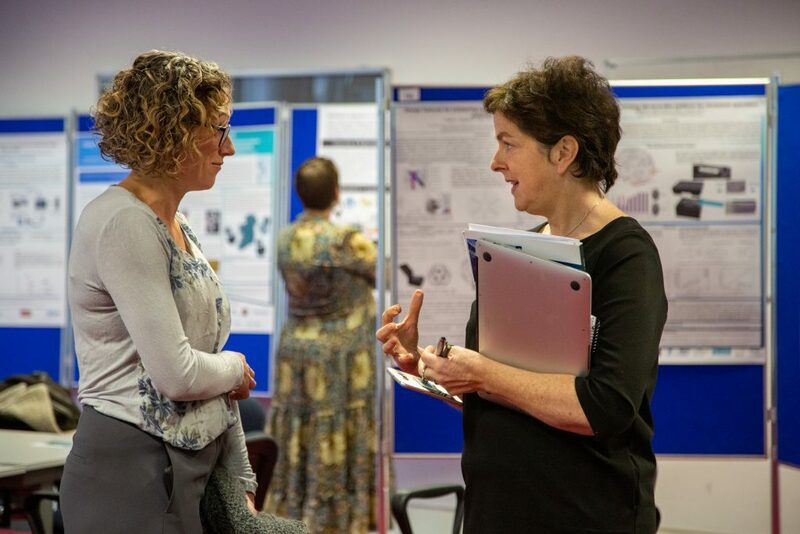 That was apparent at the recent DCU Water Institute Research Showcase, at which a variety of researchers in the DCU Water Institute gave short presentations about their work to an audience that included industry partners and the Institute’s Advisory Board. One of the presentations was from geomorphologist Dr Susan Hegarty from DCU School of History and Geography. Dr Hegarty recently joined the Institute and she is interested in exploring the effects of local geology on groundwater schemes. Her talk caught the ear of another DCU Water Institute researcher in the audience, Professor Lorna Fitzsimons, whose expertise lies in energy auditing of wastewater treatment and using biological resources in the circular economy. During her own talk, Professor Fitzsimons invited Dr Hegarty to have a chat later about collaborating. This speaks to the spirit of bringing researchers and other stakeholders with different backgrounds together to work on the challenges of water, explains Professor Fiona Regan, who directs the DCU Water Institute. The range of work being undertaken through the Institute was evident at the showcase in DCU, and included not only the geology and modelling that can now dovetail together within the Institute, but also chemistry, ecology, public health, sensor development, environmental DNA detection, emerging pollutants of concern, data analysis, media, public engagement, campus sustainability measures, primary education and advanced manufacturing. Listening to the talks, it was clear that no single research project or area of expertise can provide all the answers, and that strength lies in collaboration. The research is also highlighting the need for complex analysis – in the case of screening for pollutants in water and human exposure, for instance, the model is moving to detecting suites of molecules rather than single indicators, to give us a more realistic picture.